There’s absolutely no way I’m going to tell you that online meetings and communities for support, discussion and enhancement of a recovery program aren’t an incredible resource. I’m thankful daily that this resource exists, and if participation is any factor in determining this site’s popularity, so are many other people. Online communities like this one provide a unique service to the recovery community; objectively, there aren’t many that work very well or meet with regularity, but they often serve segments of the community that would otherwise be relegated to youtube videos or transcripts. Some live far north of the Arctic circle, some (as I was, once) are homebound due to severe physical disability, some suffer from clinically diagnosed mental illnesses to the extent that attending a face-to-face meeting would literally cause physical distress. The topic here, though, isn’t an attempt to validate the existence of online recovery, but rather to discuss and examine the reasons some have for avoiding face-to-face recovery options entirely. While, as mentioned, there do exist those few who suffer from diagnosed anxiety disorders that preclude them from attending face-to-face meetings, it seems that the primary purpose most have for going the “online only” route is simply convenience or fear of public speaking. Let’s run down some of the common reasons I’ve heard, shall we? “I don’t like talking in front of groups of people.” You’re in a recovery program that requires several steps much more difficult than being a bit nervous, and if you’re willing to put forth the personal effort to bring yourself into the program itself, you should be able to also find the strength to say a few words in front of people just like you. They’re at the meeting as well, so please don’t hesitate to attend face-to-face meetings based on this exaggerated fear. “I feel like people are judging me.” If they are, they’re not working their program correctly, and if you think they are, it’s possible that you’re letting your anxiety plant that idea in your head. The general reaction to shares in face-to-face meetings runs the gamut between bored indifference to genuine concern or interest – nowhere on that scope of behaviors is scorn, judgment or ridicule. Please don’t convince yourself that other people are going to think less of you simply because of insecurity. I know it’s difficult and that you worry what people think of you, but a sad-yet-comforting fact of life is that most people, most of the time, are only thinking about themselves. “I don’t have time to go to face-to-face meetings.” This , of course, can be a valid concern, but it really, really needs to be examined. Think of the time you take to attend an online meeting: you’ve got to be home, seated at your desk, or somewhere with your phone. You’ve cut off outside interference to ensure you can pay attention to the meeting. You’ve probably spent some time reading the topic and formulating a share. You read other shares, and at the end of 60 minutes you’ve got to wrap that up. Is this really more time consuming than stopping by a face-to-face on your way home from work, or spending your lunch break at a meeting near the office? It’s possible you don’t live near a meeting – if you literally cannot attend one, it’s understandable. But would you place such little importance on other aspects of your health if that were the case? Would you skip a cardiologist’s appointment because it was inconvenient? “I’ve been before and it didn’t go well.” I understand this excuse more than you’d care to know; I’ve left meetings because of illegal activity in parking lots. I’ve been asked to leave meetings because I stated I was not religious (this information was, to be clear, requested of me, not offered by me). I’ve been to meetings where racist behavior and language were not addressed, as if they were common and permissible. This didn’t stop me, however, from attending face-to-face meetings. I just had to find new ones. There’s a reason people tell you to “shop around” for a face-to-face meeting: they’re all different, they all have different members, policies, environments and attitudes. Find one that works for you. Why, you ask, would I spend so much time convincing you to attend a face-to-face meeting when I’m aware that I’m writing this for a site that offers online meetings? 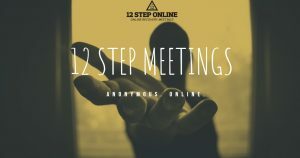 Online meetings offer a lot of things – most things, in fact, that face-to-face meetings offer and a few benefits beyond even that – but there are some things you can only get in face-to-face meetings that make this difficult program much easier on you. The first is sponsorship; finding a sponsor is a bit like finding a prom date, you wouldn’t want to ask just anybody and it’s a good idea to get to know them first. The second important part of these meetings is the sense of community; recovery can be lonely, and it’s nice to spend time with other people who share your interests who can actually go with you for coffee after, movies on the weekend, or in my case, “loan” you cigarettes. In writing here, I’m obviously a massive fan of online meetings and what they can mean to someone in recovery. The absolute anonymity of the internet (sort of) combined with the ability to edit and polish meeting shares is great for the more neurotic among us. But online meetings should be a complement, not a replacement, for face-to-face meetings. I spent far too long isolated at home, unable to attend a meeting or any other social event that involved walking or standing. I enjoy being around people like me, talking in person to someone who isn’t just concerned about how I’m feeling but genuinely knows how I’m feeling. I know face-to-face meetings can seem daunting, especially if you’re new. Please don’t scare yourself out of going by focusing on negative stereotypes or media portrayals. Don’t make yourself any more nervous for a face-to-face than you would be nervous going to eat in a restaurant or sit in a Starbucks. The coffee’s free, anyway. Give it a try – and then come online for a meeting and tell us how it went. Not only is the coffee free but birthday meetings are a riot! Among time constraints, I am also agoraphobic. This is a recurring condition with me. Sometimes it is there sometimes it’s not. Right now, with no alcohol in my system at all, it’s magnified. But I know it will recede with time. 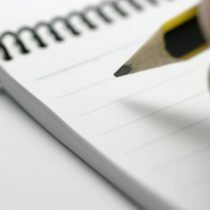 I would like to attend meetings, but there is one thing I feel could be addressed in this blog that isn’t: Feeling like an outsider, like you don’t belong in the meetings, even if you’re an alcoholic. For me, meetings are daunting because I know that the people there have been through hell and back. I want nothing more than to be 100% sober, and after 2 years of a bottle-of-wine-a-night habit, it’s difficult. More emotionally than anything else. But I’ve never hit rock bottom. I’ve never been on the brink of death. I’ve felt like it at times, but I have never been there. I haven’t been an alcoholic for many many years. I’m 30. I’m a single mom. I’m just trying to quit for my health and my kid. So what would you say to someone like me; what would you say to that excuse? Of wondering if you belong or not based on the “level” of your alcoholism? And please forgive me if this question sounds ignorant. I’m new to all of this. Great points as usual and a much needed look at face-to-face meetings. I especially liked when you said that “you worry what people think of you, but a sad-yet-comforting fact of life is that most people, most of the time, are only thinking about themselves”. This was such an eye-opener for me in recovery as well for two reasons. First, that others really aren’t super concerned about what I am saying. Second, that I’m really not all that important. It helped to get me right sized as they say. Plus, if I’m honest, my anxiety was all about me and my own self-importance. After all, if everyone is going to want to be like me than I can’t afford to let them down. Wow, yeah, I just said that. But isn’t that really the problem. It’s me and this program gets me out of me and connected to God and others. The other thing that I thought of from this blog is the messiness and unpredictable nature of face to face meetings. This, I have to say, is unavoidable in my opinion. But this is absolutely necessary if I’m going to face the demons that are my character defects and shortcomings. It’s only in the messiness of real time relationships that I learn what offends me and how I offend others. There is a guy in my home group that I don’t like. He has always been polite and has never insulted me but I don’t like him. Why is that? Time will tell but I’m willing to bet it’s more about a problem within me than it is about him. I need face to face meetings to work a solid program plain and simple. At least that’s the opinion of this alcoholic. Thanks again, Wombat, for the spot on analysis of this topic that often pops up in open share.